This week I'm teaming up with a few of my BBBs to share a few tips for surviving the end of the school year. I was so excited to do this post because we are almost finished with our state assessments, and we still have 9 more weeks of school. Many of my students think that once our assessments are over they don't have to work anymore, so getting these survival tips early is so great for me. Really, what I want to tell you is... RUN.. I mean RUN.. to your nearest Dunkin, Starbucks, Coffee House, and get yourself a nice 'Cuppa Joe! Every teacher at the end of the year needs that little extra kick, and coffee will definitely help. But really, as much as WE need that little extra something something, our students do to. I try to make as much of my class period as interactive as possible. That's why we create Student Survival Kit Lapbooks at the end of the year. I use these Lapbooks to help my students reflect on what they have learned from their experience in sixth grade, and to help me launch my new school year. 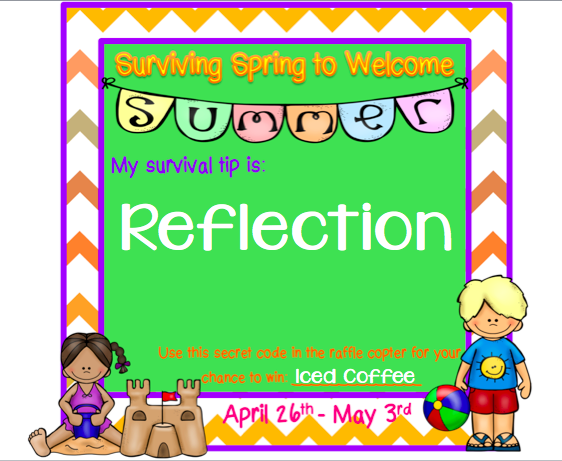 My Smarties create a lapbook which I place on my students desks in September when we start back to school. 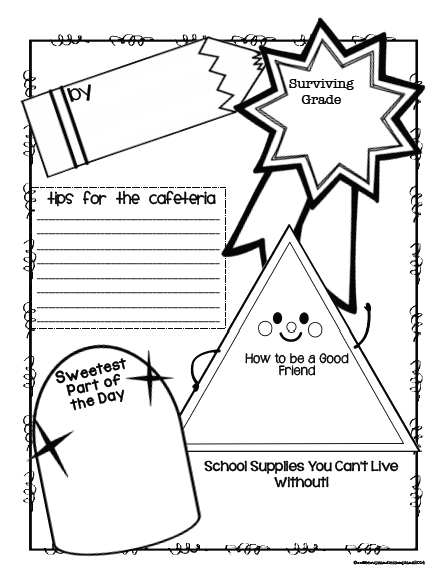 My freebie for you today is a page from my Student Survival Kit Lapbook. 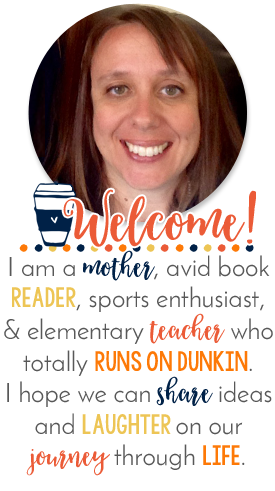 You can have your students fill these out as morning work, share them in your morning meeting or ELA time, and then save them for your students in the fall. Place them on the desks of incoming students, or mail them home with your Welcome letter and give them a little preview of your classroom and who you are as a teacher. 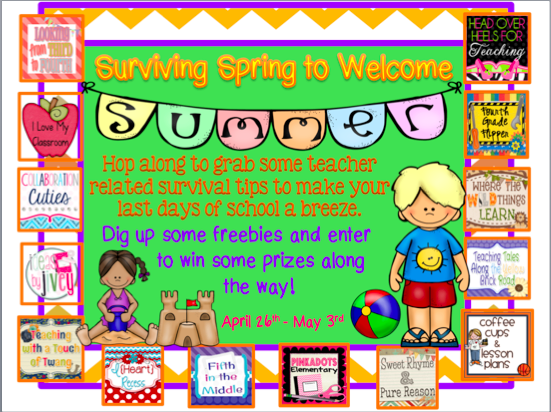 Just Click on the Pic above to download this freebie and don't forget to continue on the HOP! 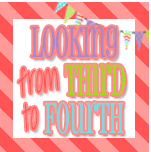 Stop by and visit my friend AMC at Looking from Third to Fourth and grab another Freebie! I absolutely LOVE this idea. My 6th graders have lots of experience with lap books. 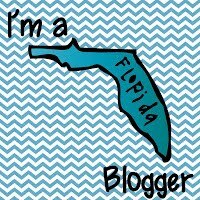 I wish I would have found your blog earlier this year!!! This is so cute! I think I am going to also incorporate this in the last week of school! So fun! Self-Reflection is so important! Thanks for the freebie! Enjoy your last few weeks of school.